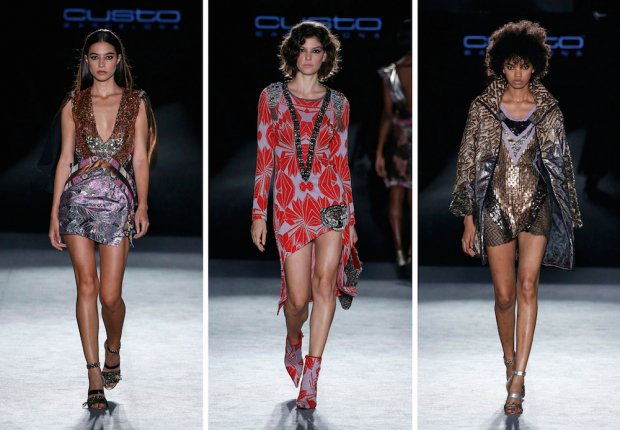 The international fashion brand Custo Barcelona keeps its date with the 080 Barcelona Fashion catwalk and presents its ready to buy collection “Yes, this is me” for autumn-winter 2018-19. It’s a proposal that wants to boost the individuality of each woman through sexys and daring designs among which the minidresses are, once again, one of the main features. Creativity and innovation define the collection, because of the fabrics used and the new silhouettes and asymmetries presented. The mix&match of prints and the rich color palette remain true to the brand’s signature style.